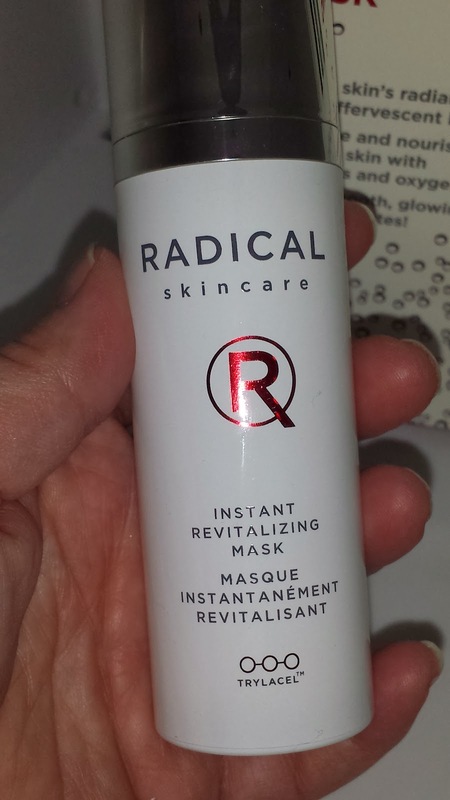 Several weeks ago I was given the opportunity to review the Radical Skincare Instant Revitalizing mask. Lately my skin has been less than glowing - it has the look and feel of tired overworked skin so when this opportunity came along I was really hopeful that it would perk up my skin and brighten my complexion. Also, since December, I have been working 10-12 hour days Monday through Friday and then on the weekends it is non-stop running errands for my family so skincare and my overall health have taken a backseat and my appearance reflects this neglect. The Radical Skincare Instant revitalizing mask has a citrus-y scent somewhat similar to oranges but it actually smells kind of nice. When using the mask a thin layer must be applied to a clean and dry face. (Be sure not to get it near or around the eye area!) The directions say to let the mask activate for about 3-5 minutes and then rinse the mask off the face. Since I wasn't sure how my face would react if I left the mask on longer than the allotted time, I set my timer for about four minutes. Right away I noticed some areas on my face where the mask started turning white and then a bubbling sensation ensued. Nothing painful or damaging - just a bit of a shock and it does kind of tickle. 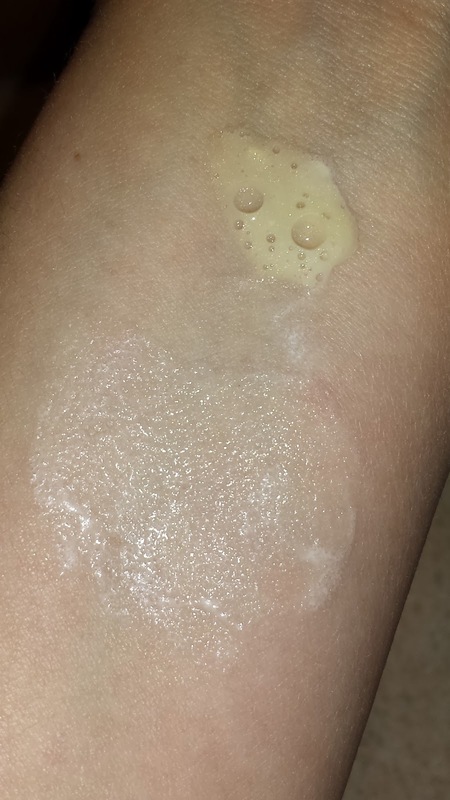 It sort of reminded me when you pour hydrogen peroxide on a cut to cleanse it and then it starts to do that bubble effect - its very similar to that. With other areas of my face the mask actually seemed to disappear right away into my skin. 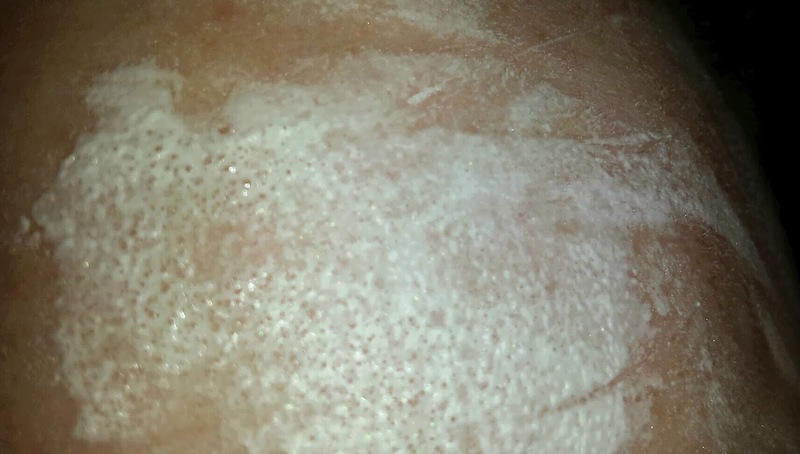 Once the oxygen bubbles finished popping, those areas where the mask turned white, now seemed to disappear into the skin as well. After the allotted time had past I splashed water on my face and gently massaged the mask away. (It is important to note when one is removing any type of face product it is always best to be gentle and not tug, pull or rub the skin.) Then I used a hand towel to gently pat my face dry. Right away I noticed / experienced a tightening of my skin, my pores seemed less noticeable and my skin was brighter with a healthy glow. 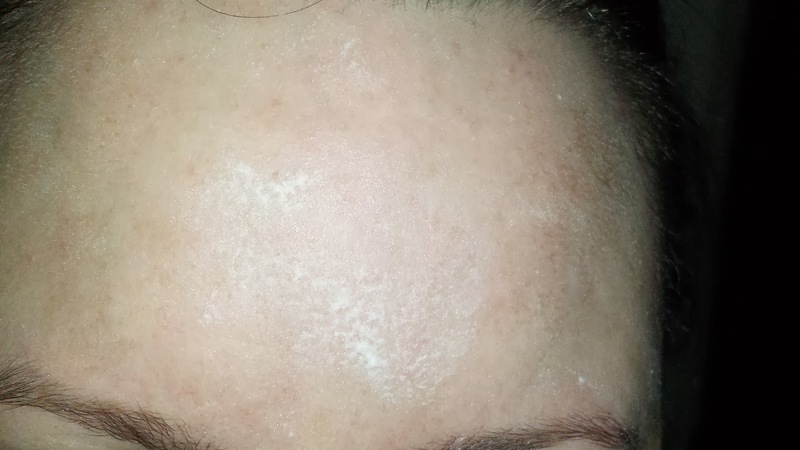 Now as I have said in previous blog posts, I have extremely dry sensitive skin and trying to find skincare products that work and not dry out my skin even more is not an easy task. Since using the Radical Skincare mask for the past four weeks the results are amazing - my skin feels smoother, my face has a brightness to the skin and it is less dull looking. It definitely feels healthier and younger looking. Yes, I still have dry sensitive skin but it seems more hydrated so I'm definitely pleased with the results and I am going to be adding the mask to my weekly beauty / skincare routine from now on. 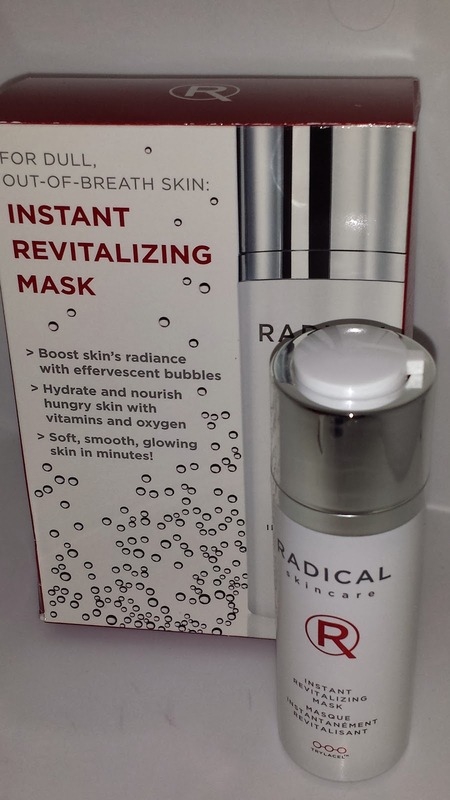 The Radical Skincare Instant revitalizing mask currently retails for $65.00 USD and it contains 1 fl oz. of product. It can be purchased in store or online at Sephora and Barneys. It is also available for purchase on Amazon.com and on the Radical Skincare website. Radical Skincare was created "to deliver radical results. Dedicated to those who want more, Radical products offer maximum antiaging potency for all skin types". Their "proprietary breakthrough technology, Trylacel™, enables the highest concentration of actives to deliver maximum benefits and quick results". -Sodium PCA: Humectants are ingredients that hydrate and hold moisture in the skin. -Vitamin E: Preserves the skin against aggressiveness of free radicals created by oxidation coming from exposure to pollution, excess of sun, and age. Here you can see the bubbling effect on my forehead. Once the bubbling effect has finished.